You have heard about Bali multiple times, but a very few of you knows that Bali first came onto tourist radar because of the town of Kuta. Kuta is the first name that pops up into the mind of a real backpacker because it is the best place to visit in Bali, where the tourism in Bali ignited. Kuta Beach in Bali is way crowded than other beaches in Bali, but it is for sure the best beach in Bali to learn surfing if you’re a beginner. Legian and Seminyak are the must-visit places to explore near Kuta. These two sister towns of Kuta are located around 6 km from Kuta. Why Visit Seminyak and Legian? If you want to stretch your imagination to the clear beaches in Bali, top romantic resorts, beachside cafes, then you should make your day trip to these two sister towns of Kuta Bali. Peak season in Kuta is usually from July to August, and it gets too crowded in the month of Christmas and New Year as well. Kuta Beach, also known as sunset beach is the charismatic point to watch an impeccably romantic sunset. This is one of the best places to visit in Bali to pamper yourself with the sandy beach, romantic honeymoon beach resort, and a wide variety of restaurant and bar attached at the beachside makes Kuta the prominent tourist attraction place in Bali. Kuta Bali was once was a fishing village and later emerged as the top Bali Indonesia Tourist Attractions to Explore, Kuta is the must visit the gem of Bali that demands a visit for all the right reasons. This most beautiful tourist spot in Bali regularly experiences the tourist crowd throughout the year. Honeymooners find the shop in Kuta a very interesting thing to do in Bali. What Makes Kuta Bali So Amazing? 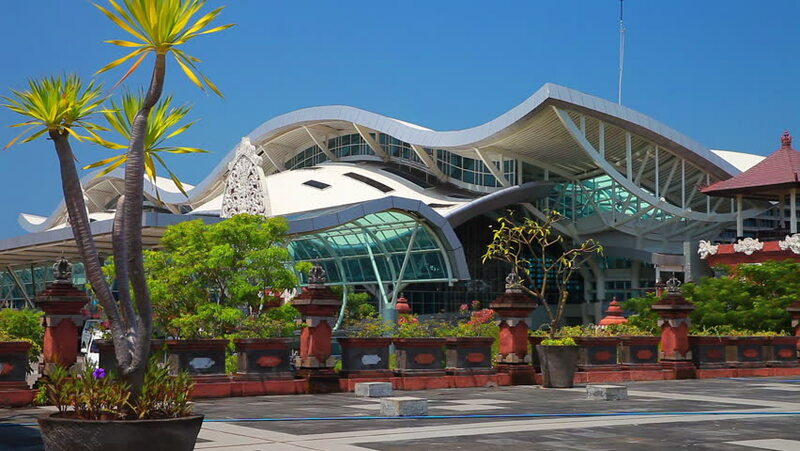 The Ngurah Rai International Airport is around 5 km from the registered trademarks places of Kuta. Kuta Bali has plenty of shopping malls, so if you are looking to fix your shopping cravings, you can have that option too. Such is the charm of Kuta. Beachwalk mall in Kuta Bali is the place to satiate the shopaholic in you. I have been to Kuta Bali twice and never missed a chance to visit Beachwalk mall and get some household goods to decorate my home. From stylish food courts to cinema halls to branded shops, options are many. Is Kuta Is A Family Friendly Destination, or is it only for the honeymooners? Glad, you ask this! Well, if you are planning to visit Kuta on an all-inclusive Bali tour package with the family, you’re in a constant threat. Kuta Bali has various plenty of water parks where children can enjoy some fun time while doing various water rides. Waterbom Bali is the famous water park in Kuta Bali to take your children and allow them to ride some amazing rides like Smashdown, Fast N Fierce, Double Twist and Climax, are a few of the rides that children like the most. What Is Very Good About Kuta Bali? Well, it’s the thing that you too also have heard multiple times, that Kuta is not a great place to witness the cultural side of Bali. Frankly, as I mentioned above in the 6th paragraph that I’ve been to Kuta twice, I would frankly tell you that yes, this is true! It’s hard to find the locals indulging and performing local dances on the streets, just like Ubud does. But that does not mean that Kuta Bali lacks cultural vibes. If you want to see the cultural side in Kuta Bali, visit the Kuta Theatre and enjoy performances like puppet shows and magician shows. There are also local dance performances with a blend of modern touches. For more information on things to do in Kuta Bali, visit here. Bali, Best Places, Destination, Travel Guide Bali, Bali Tour, Bali Tour Guide, Kuta, Kuta Bali. permalink.